03.04.2019 Get Together Get-together this Wednesday, 3rd April. We meet at 10.30 am in the parish room for tea, coffee , cakes and a chat. All welcome. 31.03.2019 Baptism Please pray for the parents, godparents, family and friends of Sophie Krystyna Donnelly who will be baptised here today after Mass. 31.03.2019 100 Club The winners of the first draw of 2019 are Ann Crossley (1st prize), Margaret McLellan (2nd prize) and Conor McSorley (3rd prize). 28.03.2019 Mass with the Sacrament of the Anointing of the Sick Every last Thursday in the month there is an opportunity for those who are sick to partake of this sacrament. The practice of being anointed with oil as a powerful prayer for strengthening and healing dates back to the earliest Church. Scripture bears witness to this when it says: "Are there any who are sick among you? Let them send for the priests of the Church and let the priests pray over them, anointing them with oil in the name of the Lord; and the prayer of faith will save the sick persons, and the Lord will raise them up; and if they have committed any sins their sins will be forgiven them." 27.03.2019 Coffee Evening A last reminder that the Coffee Evening is this Wednesday, 27th March, at 7.30pm in our Parish Room. Admission is 50p, which includes a cup of tea/coffee and a cake. Louise and Helen will be at the cake stall – they will be most grateful for donations of home-made cakes to sell. Everyone would be most welcome on the evening; do come along and bring a friend or neighbour and make it an enjoyable and worthwhile evening. 25.03.2019 The Annunciation of the Lord Please note there will be a Mass on Monday at 10.00am to celebrate this great feast day. 24.03.2019 Walk With Me Lent Booklets Maureen has managed to obtain another 12 of these booklets for Lent; if you would like to purchase one, please see her. 17.03.2019 Pancake Eggstravaganza Join us next Sunday 17th March after mass to enjoy delicious pancakes with various toppings along with your tea and coffee. Enjoy a tasty treat, meet other parishioners and raise funds for the parish. A donation of £2 is suggested. 12.03.2019 Tuesday's Mass Please note that the Mass on Tuesday begins at 9.30am. Mass will be followed by Stations of the Cross. 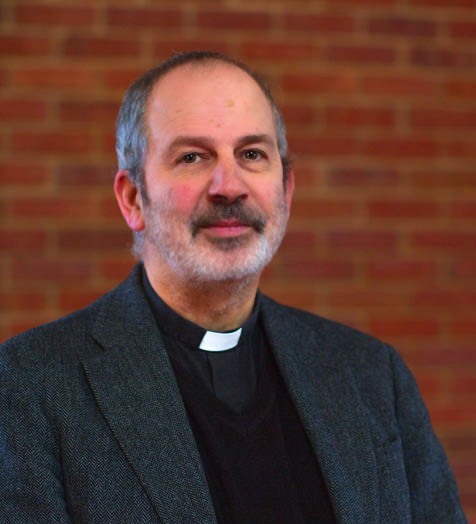 10.03.2019 Deanery Prayer for Vocations We have been invited by the Deanery to join in a month of prayer for vocations to the priesthood. We are all asked to select a day in March and to commit to praying on that day for vocations. If you feel you would like to join in please put your name on the sheet at the back of the church against your selected day. Please see Bysshe for further details. 10.03.2019 25th Anniversary of our Church As part of our celebrations to mark the 25th anniversary of the construction of our church, we are considering commissioning a new stained-glass window for the small window at the back of church. We have two painted glass windows on either side of the altar representing Baptism and Confirmation. The new window would represent The Eucharist; the estimated cost is approximately £2,500. We will be approaching Catholic businesses in the area to ask for donations but would also like to offer members of the parish the option to pledge money, either on their own behalf or to remember a loved one. All pledges will be remembered on a plaque next to the new window. Ian and Ellie Clarke will be available after Mass if you would like to know more or wish to pledge money. 06.03.2019 Get-together This Wednesday, 6th March. We meet at 10.30am in the Parish room for tea, coffee, cakes and a chat. All welcome. 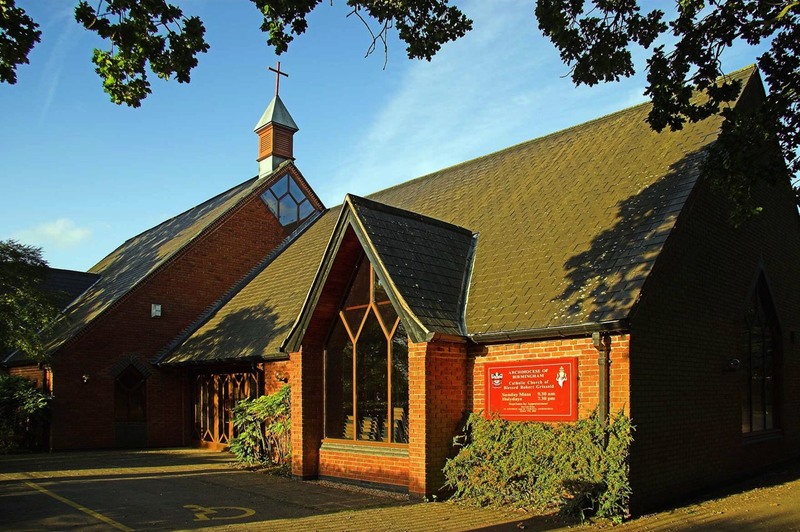 04.03.2019 Warwick Deanery Evangelisation Team Next meeting is on Monday 4th March at 7.30pm in the upper Davenport Room, St Peter's Parish Centre, Leamington Spa CV32 5AE. It is hoped that each parish will be represented. Contact: Peter Dimambro tel: 01926 428399 email: mdimambro@hotmail.co.uk. 01.03.2019 World Day of Prayer Our local celebration of this world-wide ecumenical service is at 10.30am on Friday 1st March at Balsall Common Methodist Church. Please put the date in your diary! If you are willing to help on the day, please contact Louise Perry on 01676 533357 or email jlgperry@btinternet.com. 24.02.2019 Confirmation Confirmation candidates and any seeking reception into full communion with the Church this year must submit their names and contact details to Fr Frank, by email, (address given at the end of the newsletter) before the end of February 2019. 20.02.2019 CTBB Drop In Youth Café CTBB Drop In Youth Café at 1.30 pm – 3.30 pm, Wednesday 20th February at the Jubilee Centre, open to year 6 and above. £1 entry, includes cake and a drink. Crafts, games and prizes!